This piece first ran in Asia Times and re-posted in China-U.S. Focus. America welcomes immigrants and they come from all over the world. For Chinese Americans, the dark side of this land of opportunity is that they continue to be victimized by the law enforcement’s hair trigger inclination to prosecute according to a racial profile. Rather than compiling evidence beyond a reasonable doubt, the FBI and fellow practitioners will jump at any flimsy thread of possible wrong doing, make a public arrest, sent out a press release on their accusation and put the hapless Chinese American in detention. When their findings are then subject to scrutiny and fail to pass muster, the charges are quietly dropped. By then, of course, the reputation of the person is in tatters and the victim’s life and finances are in ruin. According to published sources, Ms. Chen is from Beijing who immigrated to the U.S. and became a naturalized American citizen in 1997. The second piece of damming evidence against her is that she goes back to China every year, allegedly to see her aging parents. The third piece of evidence is that she has a classmate who is now a vice minister at the Ministry of Water Resources. He apparently told her that he would like to know how the repair of old dams is financed in the U.S.—a threat to homeland security if ever was one. She was caught red handed when she promised in her email to see what public information is available on the subject. By any generally accepted definition, public information is non-confidential and non-proprietary and cannot be intelligence related to national security. Unfortunately for Ms. Chen, she asked to borrow a password from an acquaintance to access the database on dams in America. Worst of all, when she was asked the year she met the official at the ministry, the answer she gave was off by one year. She claimed she was confused. Since she goes back to Beijing every year, the prosecution could have allowed for her confusion but instead they accused her of lying. As of the date of this report, all the charges against Ms. Chen have been dropped and she is apparently seeking to return to her job at NOAA, a job for which she has received awards and commendations. There was no public information on whether she will seek redress to the injustice done to her. Anyone thinking that Ms. Chen is entitled to compensation for the shameful government conduct do not know that the scale of American justice is overwhelmingly tilted in favor of the government, misconduct or not, and the wheels of justice grinds at a snail pace. Take the case against Dr. Bo Jiang. After his PhD degree, he found work as a NASA subcontractor. When his contract expired and he did not get permanent residence to remain in the U.S., he bought a one-way ticket to go home to China--the feds tend to regard a one-way ticket as a tell tale sign of sinister intentions. The then Congressman Wolf’s gut was convinced that Jiang must be a spy and had him yanked off the plane and incarcerated. Despite violating his civil rights and finding not a shred of evidence to justify putting Jiang in jail, he was released only after agreeing to plead guilty to one misdemeanor count in exchange for the seven weeks of jail time he already served. He saved the U.S. government’s face but it was doubtful that he got any thanks for his generosity. He won’t be allowed to come back to the U.S. though it would be doubtful that he would want to. McFeely did not explicitly tie his remarks to Chinese American spies but the release was in the context of trade secret dispute between an American company and one in China. By his way of accounting, Bo Jiang’s conviction would have counted as a win for the FBI. Missing in his remarks was any indication of their record of wrongful arrests. 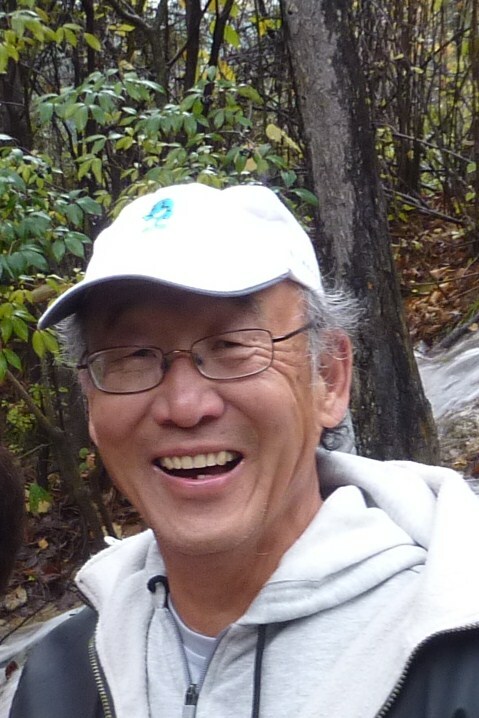 Dr. Haiping Su came to the U.S. for graduate studies and became a naturalized citizen in 1991. After various job changes, he came to Silicon Valley to work as a NASA subcontractor. The security chief for NASA in Mountain View decided that Su looked suspicious and had him abruptly removed from the Moffat Field premises. In Su’s case, he sued NASA and the federal government for violating his privacy and civil rights. Amazingly enough, after 6 years of legal wrangling, he actually won his suit and a pittance of a compensation that could hardly compensate him for the mental anguish he endured. The irony is that Chinese Americans have been punching far above their weight. According to the Migration Policy Institute, “Compared to the overall foreign- and native-born populations, Chinese immigrants are more highly educated, more likely to be employed, and have a higher household income.” Among the approximate 2 million Chinese Americans in the U.S., 47% have bachelors or higher college degrees as compared to 30% for native-born Americans. According to the Department of Homeland Security Yearbook for 2013, the latest available year, the number of Chinese given lawful permanent residency in the U.S. for the decade from 2004 to 2013 was just over 745,000, second in number to those from Mexico and make up close to 7% of the total granted a green card for the decade. Yet for the same period, slightly less than 340,000 from China went on to become naturalized citizens, representing only 4.7% of the 7 million plus that became citizens. Between Mexico and the five major Asian countries of origin (India, Philippines, S. Korea and Vietnam), China was the only country with a significant drop in relative percent and failed to maintain their pro rata share of newly naturalized citizens. It’s not possible to draw too many conclusions without further study. We can speculate, however, that even though Chinese Americans enjoyed on the average a household income 30% higher than national average, many felt the sting of being regarded as perpetual foreigner and potential spy and eventually choose to go back to China. It may not be as brutal as being shot in the back but those that have been victimized by wrongful arrest and put through the psychological wringer for months can tell you, it’s no fun to see one’s professional career destroyed in one sudden capricious moment. In a follow up story (5/21/15), the New York Times blog reported on the Congressional letter led by Congressman Ted Lieu and 20 some fellow Congressmen and Congresswomen asking the Attorney General to investigate whether systematic racial profiling is part of the operating practice inside the Federal Government. You can find coverage of the press conference here. What's wrong with Obama in bed with Abe?